The FDA has released new health guidelines for eating fish for pregnant women. This publication includes a chart that has been designed to make it easier for women to understand which options are safest for them. The new health guidelines for eating fish offer pregnant women dozens of different options from which to choose that are both safe and healthy. In fact, it suggests that about 90 percent of the types of fish that are most commonly consumed in the United States are within the “best choices” category. 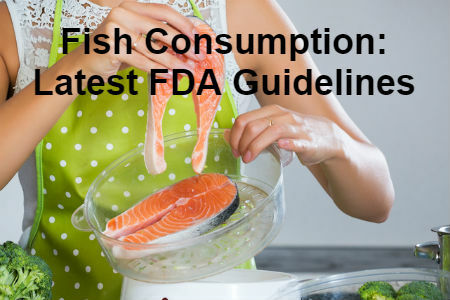 The new health guidelines for eating fish were produced by the U.S. Food and Drug Administration (FDA) along with the U.S. Environmental Protection Agency (EPA). The advice is meant both for women who are already pregnant as well as for women who could become pregnant and women who are breastfeeding. Parents of young children are also included in this advice. · Fish to avoid – which should not be eaten. For the purposes of the guidelines, shellfish and other types of seafood were treated equally. The guidelines were released on the heels of an FDA report which indicated that half of all pregnant women ate fewer than 2 ounces of fish per week. This amount is considerably lower than the recommended fish intake for pregnant women. Fish contains nutrients that are very important for the growth of an unborn child as well as after the child is born. The FDA and EPA are both promoting the consumption of a minimum amount of fish for pregnant women, breastfeeding women and young children. The recommendation is that these groups should consume 2 to 3 servings of lower-level-mercury fish every week. That equates to about 8 to 12 ounces per week.